I love it when packages arrive. I especially love it when the packages contain pens. I really, really love it when the packages contain TWO pens! 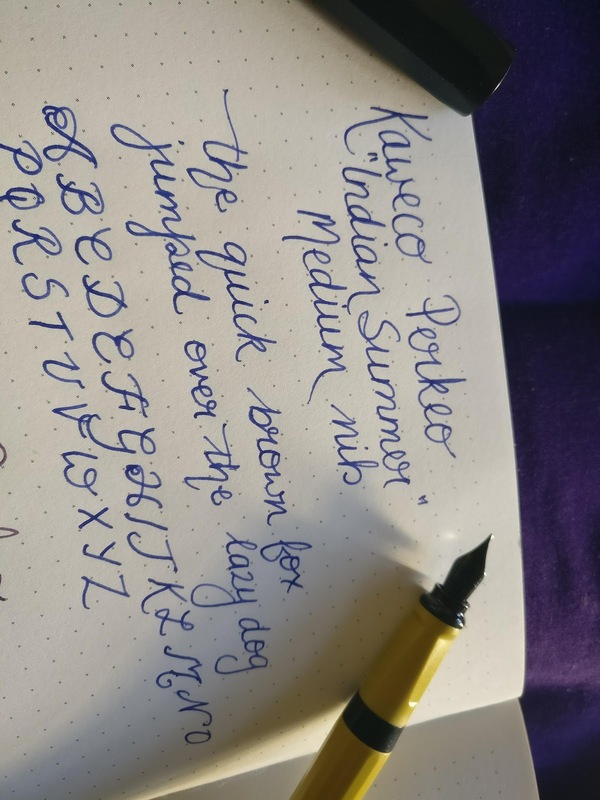 Meet the new Kaweco Perkeos! Did you know that Perkeo was the tiny court jester for the Elector Palatine Charles III Philip of Heidelberg in the 1700s? Oh yes, the story goes that this little man had an unquenchable appetite for wine. One day, in his 80s, he went to the doctor, complaining of feeling unwell. The doctor prescribed water, an element that hitherto had not passed Perkeo's lips. Within a day of drinking water Perkeo had popped his clogs. Moral - if you drink gallons of wine a day, don't bother going to the doctor. Anyway .... 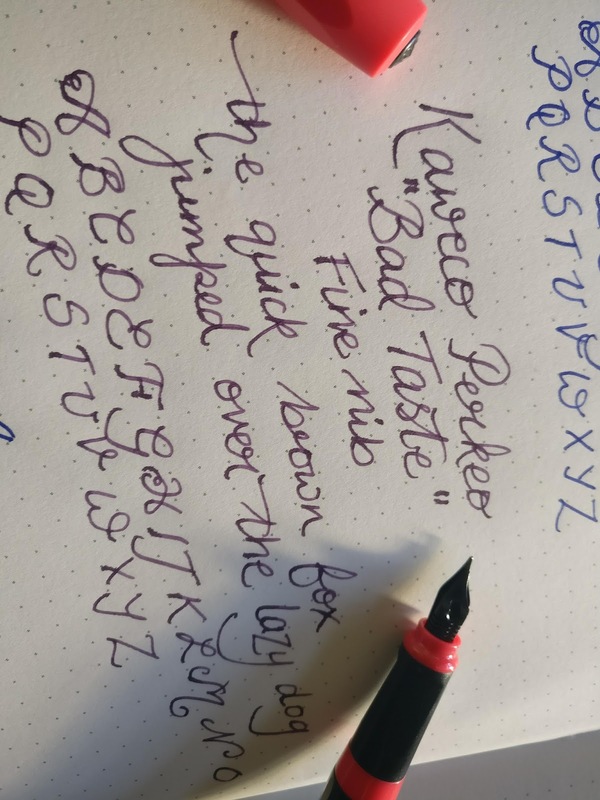 I don't know whether there is a link between jester Perkeo and Kaweco's Perkeo, but there ARE most definitely links that I can see. For a start, this pen is much larger than the small pocket pens that I associate with Kaweco. The Sport takes a teeny weeny convertor, but the barrel of the Perkeo is so long that it can accommodate a spare standard sized cartridge. And indeed, these each have an empty standard cartridge stashed in the barrel for refilling on the go. 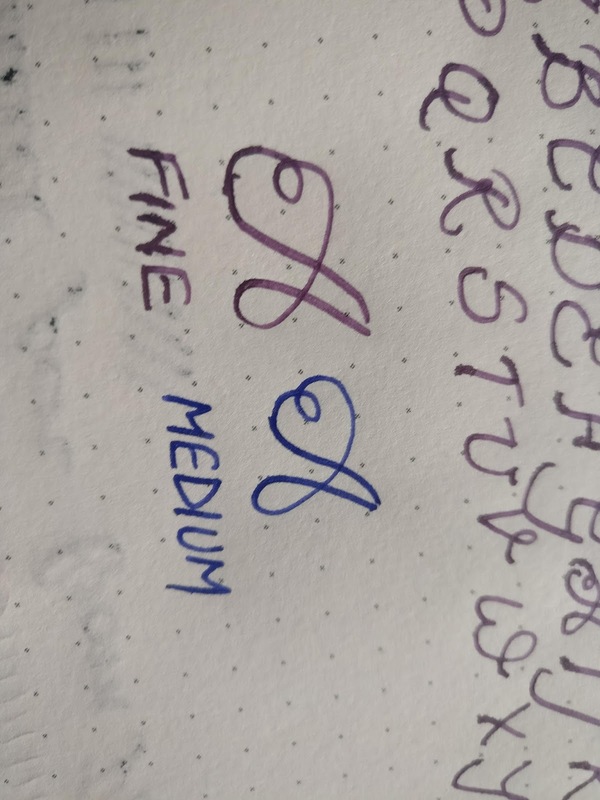 Do these pens take a standard-sized convertor? I was too scared to plug one of mine in case I ruined it. But I'm thinking that they will. So, a little guy with a huge capacity for liquid? Sounds like Perkeo to me! 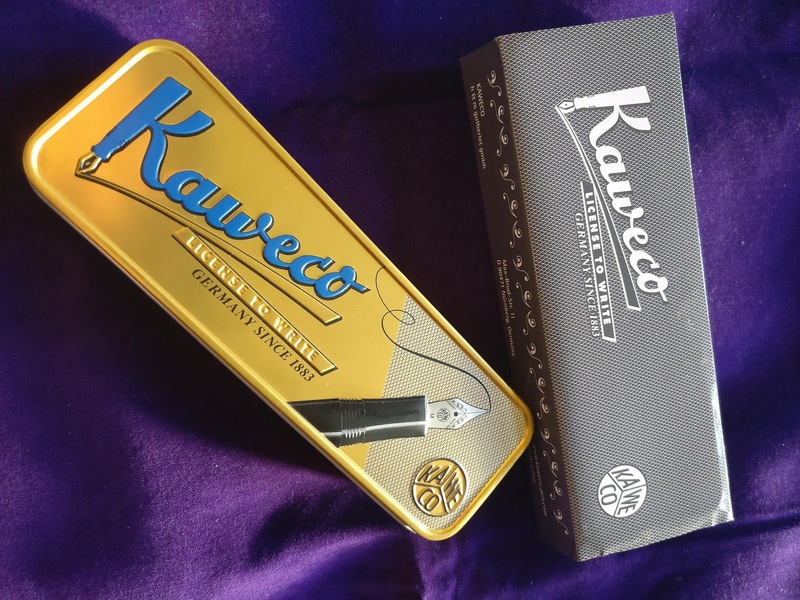 The Perkeo has the recognisable Kaweco octagonal cap and it pops on and off with a satisfying click. The cap can be posted - which I like in a pen. Makes the whole pen longer and keeps cap and pen together. The section has a triangular appearance, reminiscent of a LAMY. 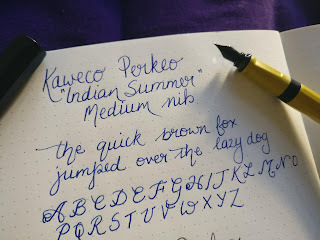 So, if you find a LAMY comfortable, then you'l find the Perkeo comfortable. The two colourways that we have here are 'Bad Taste' in black/pink and 'Indian Summer' in black/gold. Now, I appreciate that these are entry level fountain pens that retail for about £15.00 but I am not really attracted to the range of colours that the Perkeo is offered in. I like Bad Taste, but Indian Summer is too mustardy for me. But hey, different strokes for different folks, right? 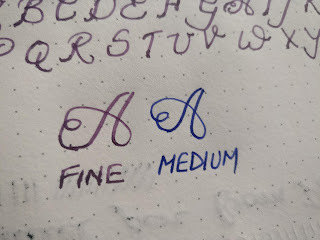 Speaking of strokes, these pens came with different nib sizes (marked on the steel nibs): Indian Summer had a Medium nib and Bad Taste has a Fine nib. I couldn't tell much difference, but then, I'm still a bit of a noob at this lark. Don't look at my terrible paper. DON'T LOOK, I TELL YOU! At under £20 per pen, these are nice writers and will make great entry-level pens (or, indeed pens that you don't mind letting other people 'try'). They are capable of providing loads of ink with that spare cartridge option and are nice and light in the hand. 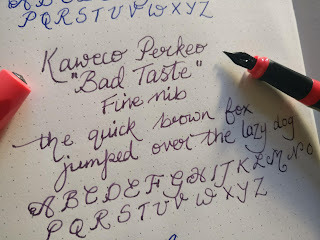 I'm not LOVING the colour schemes, but if someone gave me one, I'd be really happy to own a Kaweco Perkeo. 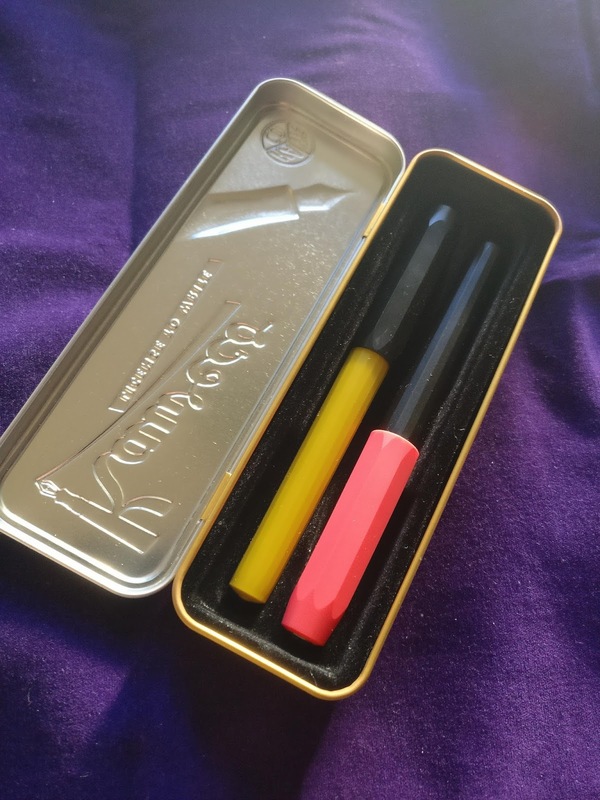 ...and if Kaweco get back to me and the court jester has got nothing to do with this pen at all, I'm going to look really silly. But YOU my friends, have got another bit of useless information for the next pub quiz.